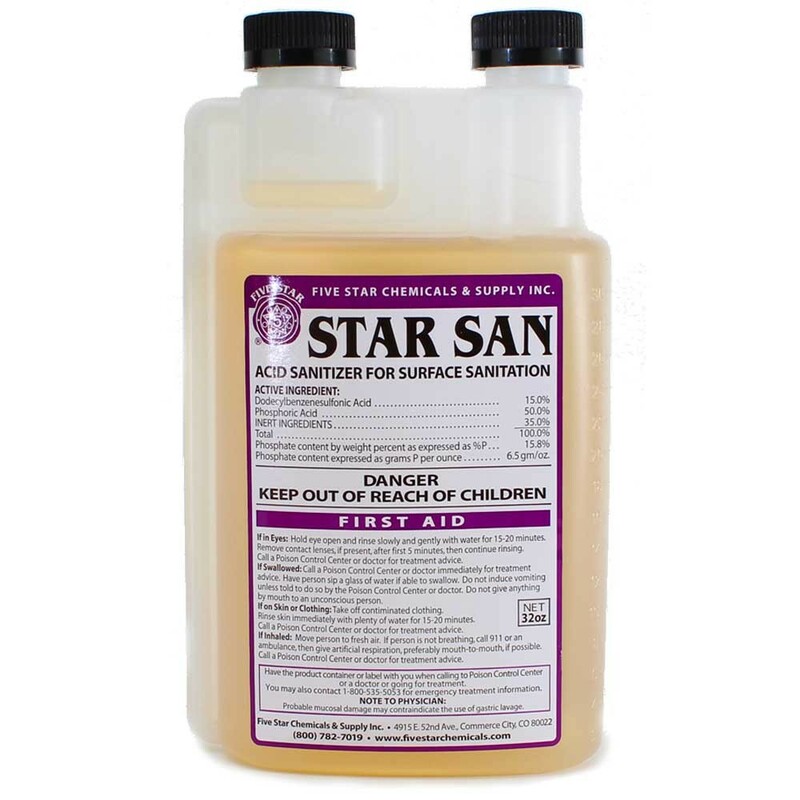 Star San is a non-toxic, high-foaming, acid based sanitizer that is odorless, tasteless and safe for all brewing materials (except very soft metals). Star San is a non-toxic, high-foaming, acid based sanitizer that is odorless, tasteless and safe for all brewing materials (except very soft metals). The high-foaming action means it covers even the most hard to reach places. Use 2 tablespoons per 5 gallons of water and soak for 5 minutes.